As is customary, the upstart local car companies Iran Khodro and SAIPA have offered thousands of vehicles in big presale schemes. The cars were to be delivered months ago, but automakers claim that the US sanctions have hampered their activities and disrupted deliveries. However, the Persian-language economic daily Donya-e-Eqtesad, on Dec. 29 printed a rare critical piece “Behind the Scenes in the Chaotic Auto Market”. Financial Tribune’s sister publication took the top carmakers to task for hoarding and insider trading and flouting recognized rules. According to the DEE report, carmakers have intentionally held up deliveries and are waiting for the government to give them the green light to jack up prices, Financial Tribune reported. Most cars presold by the two companies were not offered at a “final price” and as soon as the government lets manufacturers raise prices they apparently would be free to charge customers extra for something that has already been sold but not delivered! The newspaper further says that instead of delivering the cars the companies have sold thousands of units to “mega dealerships” at “final prices”. The avaricious dealers and possibly their minions are hoarding the cars with the aim of selling later at higher prices. The paper called on government authorities to take immediate action, and if the rampant wrong-doing is found to be true, in addition to penalizing the culprits, report the matter transparently to the public. Over the past few months, prices of cars, similar to almost every other thing in the chaotic market, have risen to levels unseen in history. However, auto manufacturers so far do not have “official permission” to increase the “factory prices”. Following the reimposition of the US sanctions and in a desperate move reportedly aimed at regulating the chaotic auto market, the Industries Ministry set up a task force to look into issues related to the key sector and propose new policies and prices. The task force is led by the Consumer and Producer Protection Organization (CPPO), and another state body, the Market Regulatory Authority, an ad hoc committee, created to check inflation and price gauging. For some time now there has been a wide gap between market and factory prices with dealers (whenever they can) charging customers twice the factory prices! Should the government decide to go ahead with such an unfair and inauspicious pricing mechanism, the factory prices of cars will increase significantly. For instance, SAIPA will be allowed to price its small city car Pride 323 million rials ($2,784). Currently, the factory price of the model is 229 million rials ($1,981). This translates into a 40% increase. Ask those in charge and one will never ever get a rational and convincing response. And you know why? Because there is none. 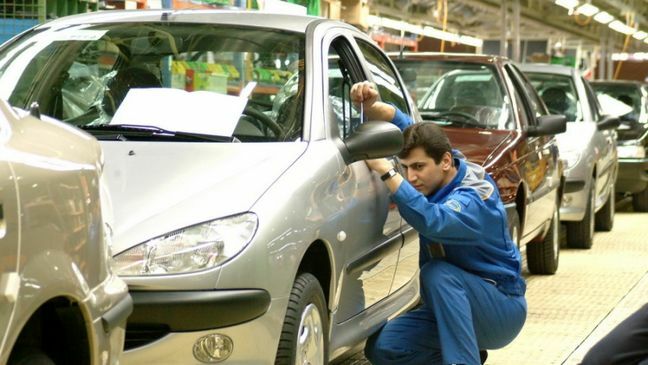 The other major local car company Iran Khodro would also get the green light to increase the price of its sedan model Dena+ to 820 million rials ($7,069) from the current 580 million rials ($5,008)—a 41% price hike.